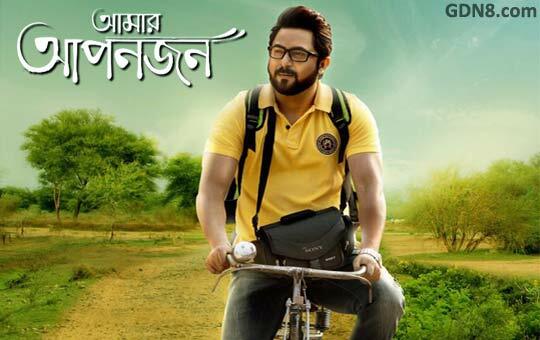 Amar Aponjon Bengali Movie All Songs Lyrics With HD Video: Amar Apanjan is a 2017 Indian bengali romantic drama film directed by Raja Chanda Under the banner of Sunday Films & Actors Studio And The film illustrates love story with Soham Chakraborty, Subhasree Ganguly, Priyanka, Aindrita Roy. The film's music Composed by Daboo and Dolon-Mainak. Watch The movie trailer on YouTube. After kelor kirti Raja Chanda Staring his new film Amar Aponjon It's fifth film with Raja Chanda and Soham. Soham and Ayindrita ray are having a gala time in kalingpong. The story revolves around Soham's life and three women , he meets in various stages of his life. Priyanka Sarkar, who will be working with Raja for the first time, is quite upbeat about the film.